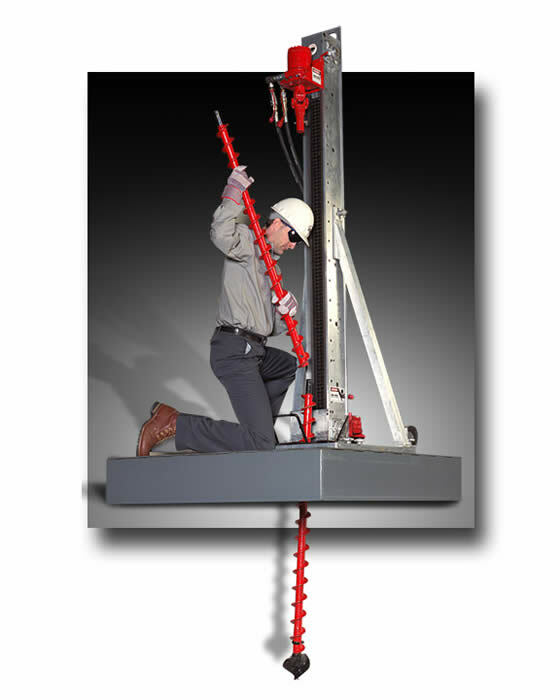 This tough, portable miniaturized rock drill is the ideal silo cleaning equipment for material that tends to “arch” or “bridge” across the entire vessel. The Arch•Master was designed to create flow channels (up to 152 feet or 45 meters deep) in arched or bridged material. In some cases, this may be all that is required. In other instances, the Junior™ 360º or our turnkey Big•Mole™ service may be needed to complete the Silo Cleaning or Bin Cleaning process. The Arch•Master features a high torque, variable speed, hydraulic power head that can rapidly drill even the hardest material. 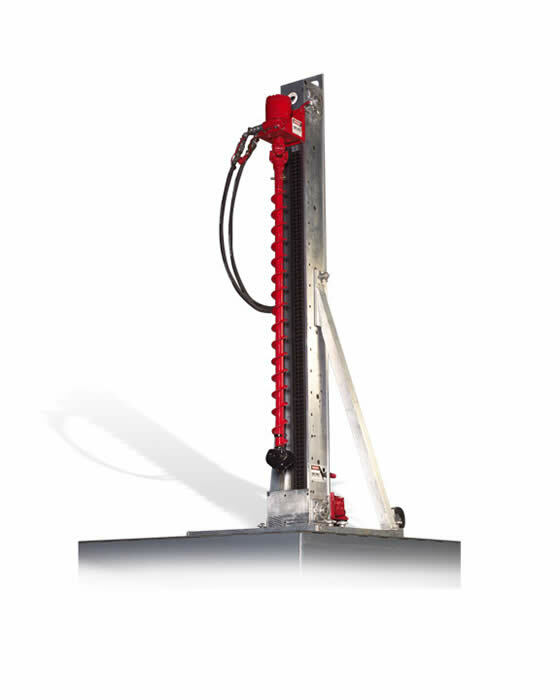 Additionally, the Arch•Master, which measures slightly over 7 feet, 4 inches (2.3 meters) in height, offers a double-roller chain drive, a special duty hydraulic motor for variable speed drilling, all-aluminum construction, heavy-duty 3 – 6 inch (7.6 – 15.2 centimeter) augers, and quick-connect hydraulic fittings. 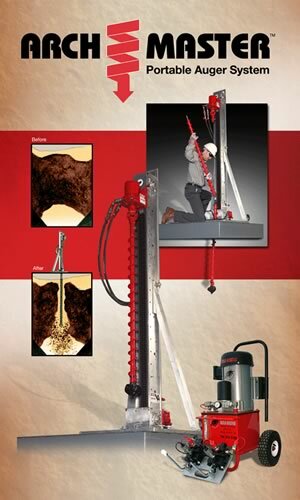 Perfect for do-it-yourself cleanout projects involving bridged materials, the Arch•Master provides the right solution for a fast and safe return to full material flow. NEED A QUOTE FOR EQUIPMENT? 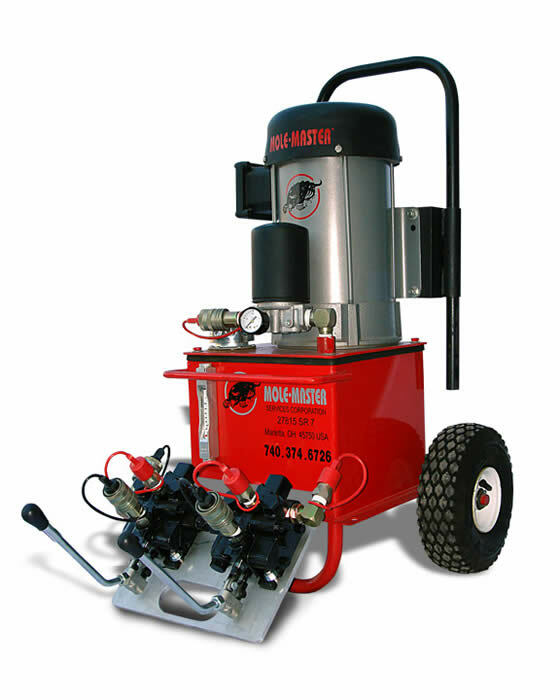 Contact us for information on purchasing or renting this silo cleaning equipment for your next diy silo cleanout project.